Immaculate Move-In Ready Home in Santa Rita Ranch! 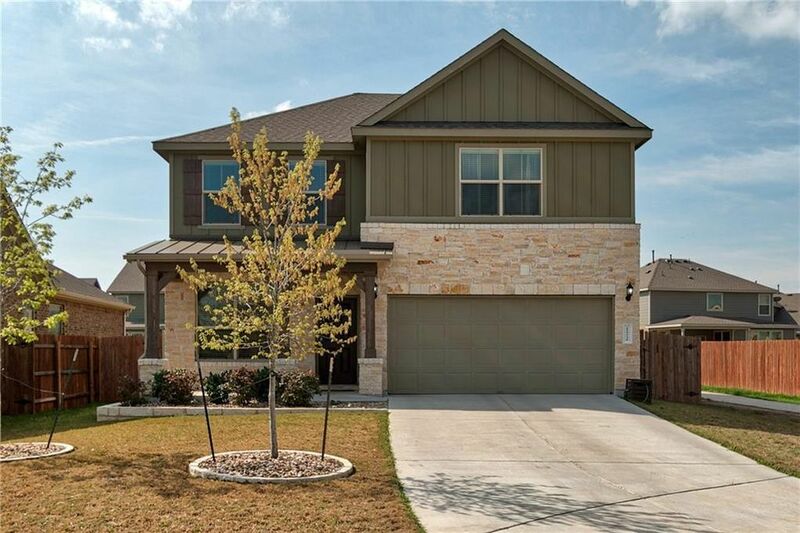 4 Bed/3.5 Bath Master on Main 2nd En-Suite Up w/addt'l bedrooms/bath Large Gameroom Spacious Plan Bright & Open Kitchen with Island Brkft Bar Front Study/Dining Tons of Natural Light White Cabs/Counters Gas Cooktop/Built-in Oven Wood Floors Master Bath w/ Dbl Vanities, His/Her closets, separate shower/garden tub 2' Faux Wood Blinds Covered Patio Grg Opener Future On-Site Elem School Exceptional Amenities/Parks/Pool/Fitness/Sport Cts Community of the YEAR! Directions: Parmer Lane - Head North past Hwy 29, Left on Santa Rita Blvd, 1st Left on Andele, house straight ahead in half cul-de-sac on right.